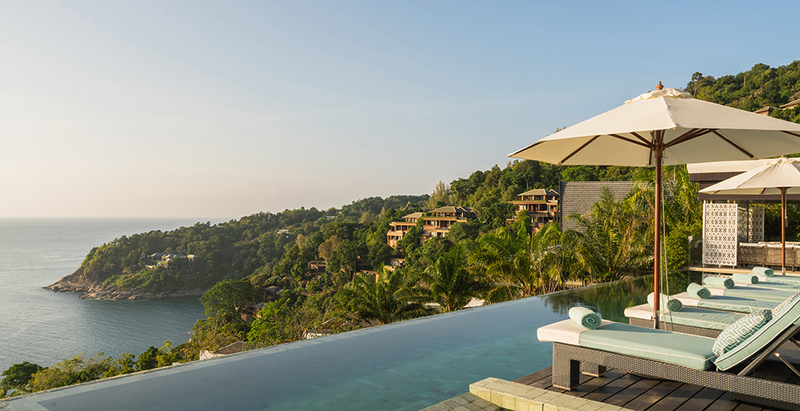 With spectacular ocean views, Villa Samira is a six-bedroom hillside haven in a secured estate near Kamala Beach ideal for families or groups. Step through its magical entrance arch and find a 17m pool and jacuzzi, sumptuous indoor and outdoor lounging areas, a media room with projector screen, games room with a pool table, spa room and a modern kitchen and dining room. A team of full-time staff, including a chef, offers friendly, five-star service while many island delights including yacht trips, golf and soft-sand beaches are close at hand. Perfect for a relaxing tropical holiday or a special event.